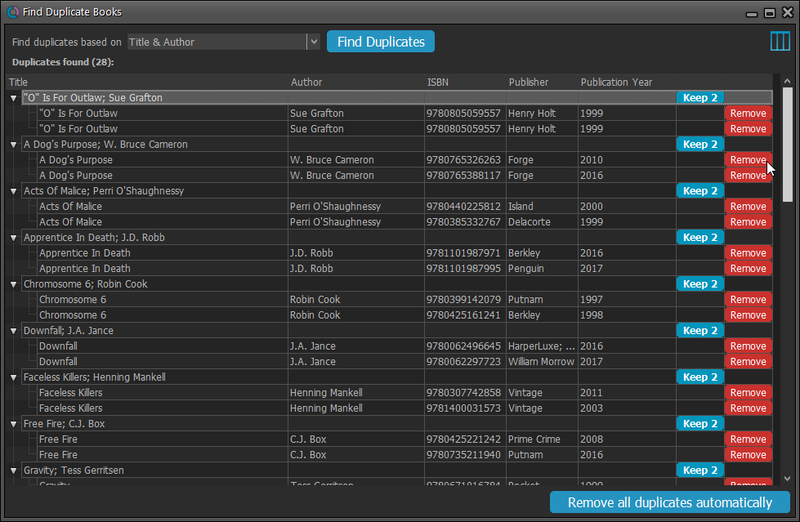 Collection database software Catalog your collection with ease. Auto download all data and cover art. When we ask for improvement, you guys make it happen. I also just recently found that, you made some other changes in an earlier update like: Capitalizing after square brackets. 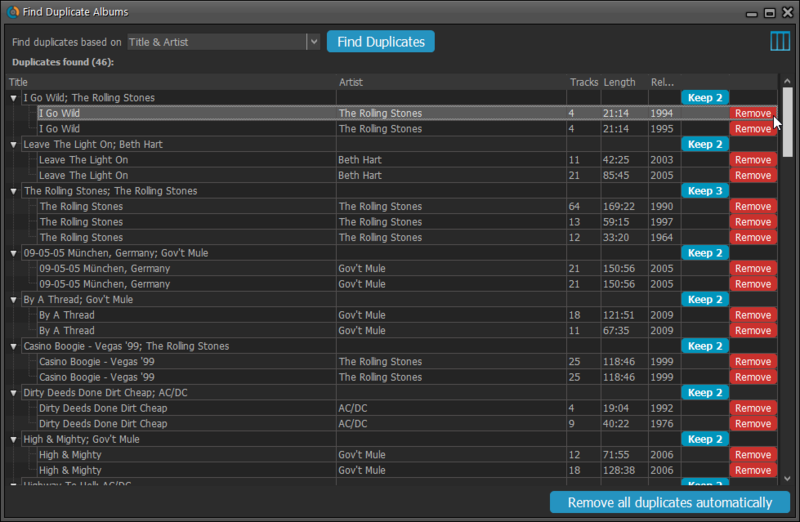 Multiple collections in one DB something i been looking for, for ages. I was very happy when I discovered it because I have submitted the suggestions to you several times. Thank you for your follow-up. 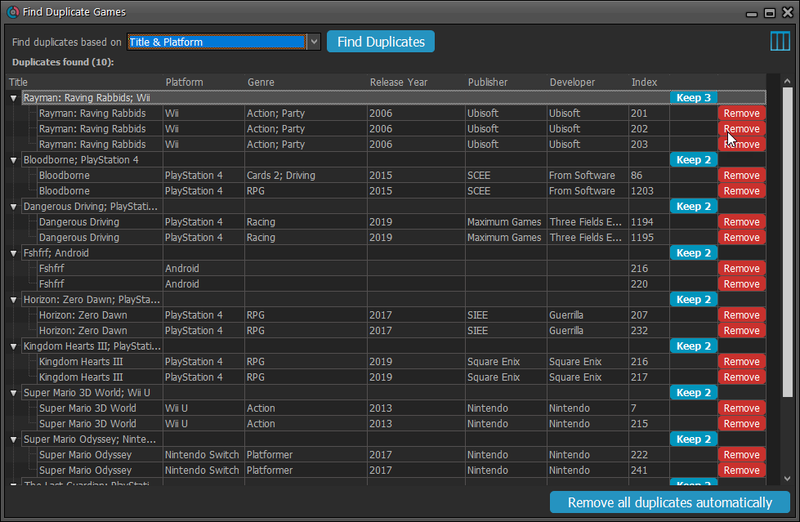 It's just one more reason I love using your software. Your amazing customer service is the very best. 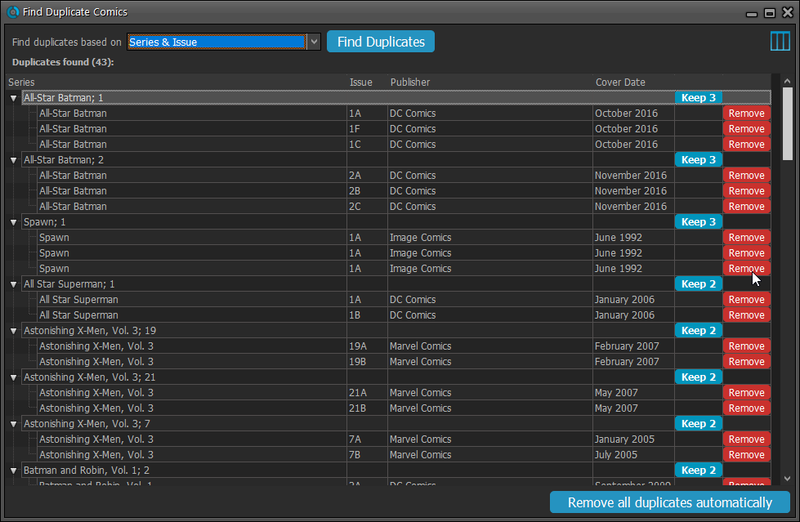 Firstly, let me take this opportunity to say that Collectorz software is the best set of software for cataloguing your collection of books, movies, comics, music, video games or what ever you collect. It is very versatile in what it can do and very powerful and expert at doing it. The list of its abilities is just to long to say in this review. It comes in PC and Mac editions as well as ipad, iphone, Android apps for your phones and tablets. It synchronize's beautifully and efficently with any of the above. I have never had a problem, ever with any of the updates or using the software, its seamless. I have been using Collectorz books, music and movies for over 6 years here at my library in Edinburgh Castle, Scotland. Collectorz fits my needs perfectly. The Loan manager part of the software is very useful for what I do,running my library and the depth that Collectorz books goes to is astonishing, but its simplicty is its strongest point. You and your team deserve it! I just wish other companies would follow you. People & life aren't perfect, but a smile and a pleasant attitude makes the little problems that pop up when you do business a lot less irritating. Thank you for your help. That fixed the problem. That is one of the reasons why I have always been impressed and pleased to use all of your Collectorz programs. Your company is by far and away the best company that I have ever had to deal with. I feel compelled to pass on to you my admiration in the way you guys continually upgrade/update your software. I own Books, Movies & Music. I have never had an issue with anything you have sent. Every time the upgrade is seamless and so simple to operate. We’re on a roll! Here’s yet another BIG update of your Movie Collector for Mac software, with 3 important additions! More goodies made possible by our agreement with IMDb! 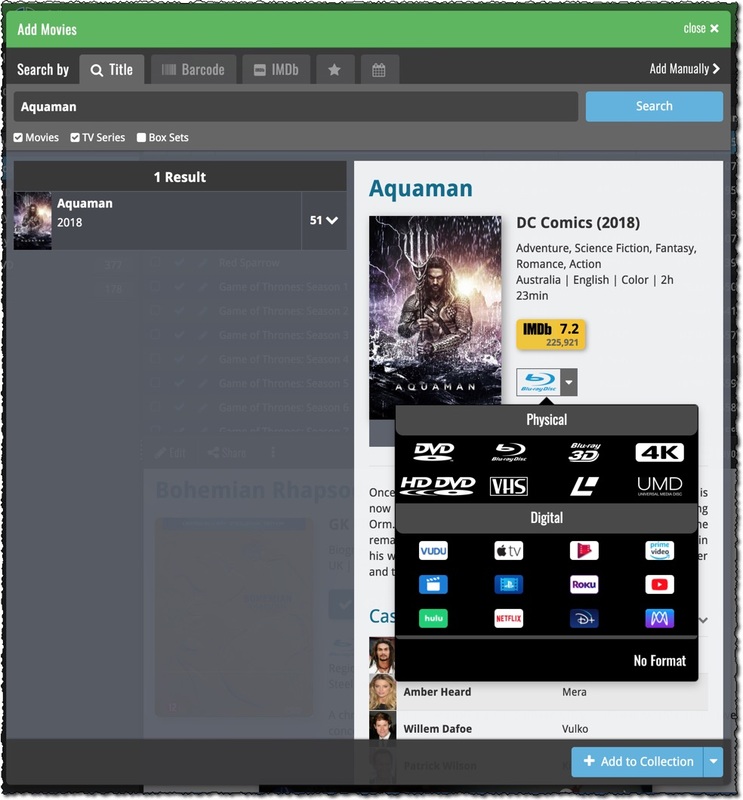 Introduced today, a new “IMDb” tab in the Add Movies screen for finding and adding movies straight from their IMDb Nr or URL. Can’t find a movie in our Core? But it is on IMDb? Then just find the movie on IMDb and copy either the IMDb Nr or the entire UMDb URL. Then go to the new IMDb tab and paste the Nr or URL into the search box, and click Search. 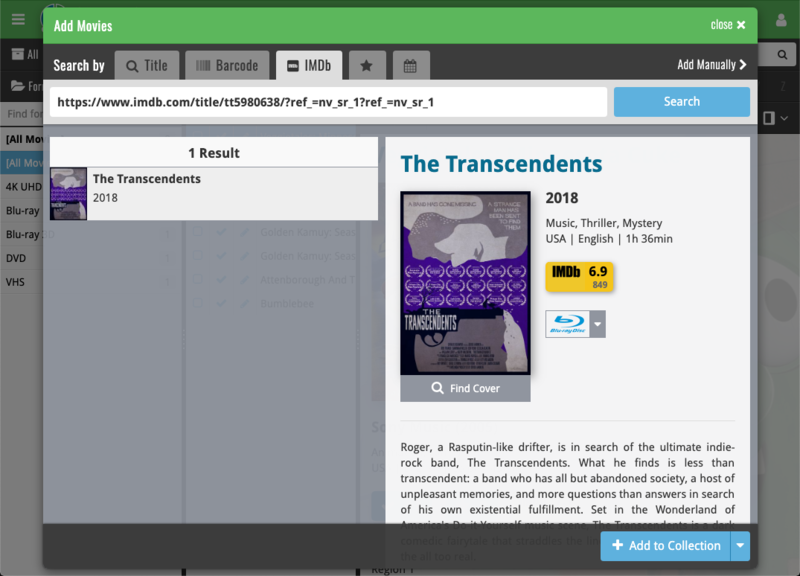 The movie entry will then be retrieved from IMDb automatically AND added to our Core, so that you can then immediately Add it to your database! IMPORTANT: this new Add by IMDb feature always requires an active Service Plan! Starting with this version, the Movie Collector software now downloads the “official” cast and crew from IMDb, that is the top 25 actors and the full list of Producers, Directors, Writers, Photography and Musicians. Also, the cast list now comes with IMDb links for ALL cast members! Go to menu “Movie Collector > Preferences”. First, go to the same screen as above and under “Update from CLZ Core”, next to “Cast” and “Crew” set the dropdown to “REPLACE”. Then select the movies you want to update, right click, then choose Update from Core. With digital movie formats becoming more popular, we have decided to add the most popular ones to the Format list, all with nice new icons and logos. 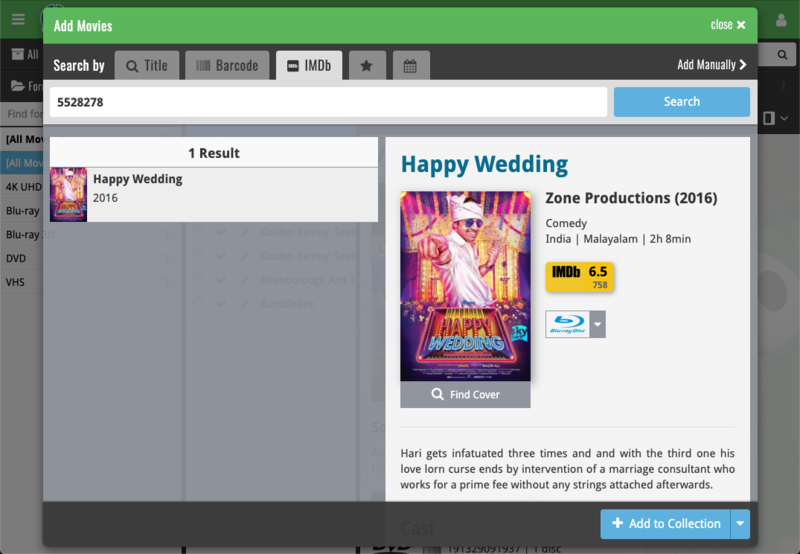 With digital movie formats becoming more popular, we have decided to add the most popular ones to the “format picker” drop down in the Add Movies screen, all with nice new icons, separated in “Physical” and “Digital” sections.